Johnty Rhodes names the Top 5 fielders of the modern-era and his No.1 is an Indian! Jonty Rhodes, widely regarded as one of the finest fielders to have ever played cricket, has claimed that Suresh Raina is the best fielder according to him in modern-day cricket. The former South African cricketer has put together a list of top five fielders whom he thinks has impressed as fielders. 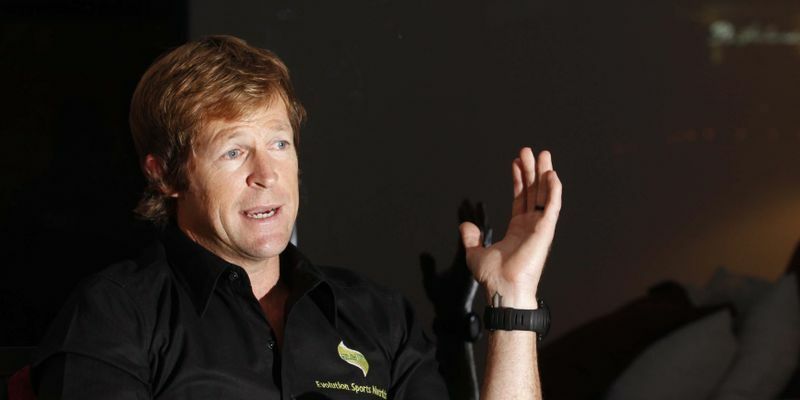 South African fielding legend Jonty Rhodes is widely regarded as one of the finest fielders to have ever graced the sport of cricket over the years. Rhodes played for the Proteas national team between 1992 and 2003 and was especially noted for his defensive fielding, particularly catching, ground fielding, and throwing from his most common position of backward point. Rhodes, who is the present fielding and catching coach of the Mumbai Indians franchise in the Indian Premier League, recently revealed his top five fielding maestros of modern cricket. "There really have been some great fielders. I’ve only fielded in the circle, the first player that I have seen fielding well in the circle and outside the circle with a very strong arm - Andrew Symonds of Australia. At number four, I would pick Herschelle Gibbs. He’s just retired and had to hang on and hang on and hang on as a player. He was an incredible fielder and it was great to have him next to me at backward point," Rhodes said in an interview with ICC. The Proteas legend went on to name three more players whom he felt have impressed with their respective national teams. Rhodes, who has also represented South Africa in international hockey, spoke about his own philosophy behind becoming a great fielder during his playing days. "At number three, I’d pick Paul Collingwood who’s again at the end of his career. He retired a while back from international cricket but was a fantastic fielder. He was really very similar to me with regards to fielding in similar positions. Number two, AB De Villiers, you know I worked with the African team for a while as a fielding coach and every time he put the wicket-keeping gloves on I’d be very upset. "Number one for me is someone who is still playing - Suresh Raina. I have been a massive fan of Suresh Raina since forever. With De Villiers, I’m a bit biased because he’s like my son. However, Raina grew up playing in India where the conditions of the field are tough. Every time he fields, every time he catches, he would be sore. He never hesitates before diving for the ball which was my own philosophy during my playing days as well," Rhodes explained.